GPU mining broker NiceHash goes incommunicado and all the bitcoins disappear, in what appears to be a hack — “$60M in Bitcoin from users wallets transferred to a single wallet. With no communication whatsoever from NH we are left with the sobering reality they were hacked and $60M worth of users (both buyers and sellers) Bitcoin was stolen.” This would actually be one of the larger crypto hacks ever. First mainstream media coverage: Jimmy Wales’ new paper, WikiTribune. Update: NiceHash press release confirming the hack. PC video game platform Steam (not Steem) is no longer accepting Bitcoin, because it’s so ridiculously volatile and users can’t predict the fees. Not noted: Bitcoin users on Steam have been pushing it for a while. 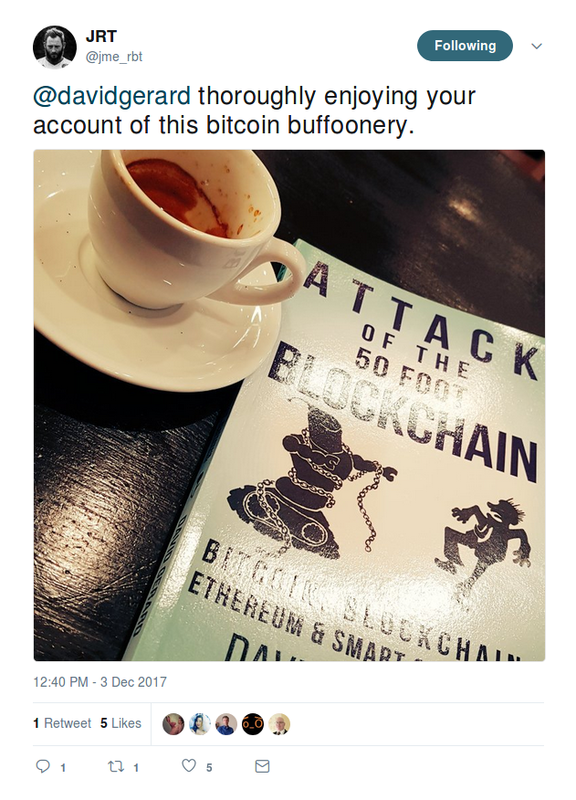 We laugh at Bitcoin, but the laughs get hollow at times, e.g. 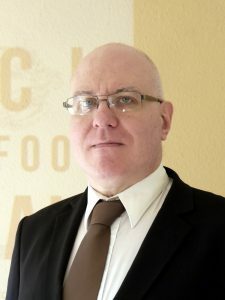 My brother killed himself because of BTC. “There are probably other factors that led to my brother’s suicide, but he had been beating himself up over Bitcoin for the past several years to the point where he seemed constantly depressed over it and gradually became a shadow of his former happy self.” Remember how, when Bitcoin dropped 25% in December 2013, Reddit /r/bitcoin stickied a suicide hotline at the top of the page? Please don’t worry about the unrealised what-might-have-beens, particularly when this bubble bursts too. Explaining this blockchain rubbish to two different people yesterday, I had to get across that “On Monday 4th December, the public Ethereum blockchain was unusable because it was full of cat pictures” was a literally true sentence. (I was hoping to write a fun post yesterday about cat pictures, before Bitfinex’s foolishness.) Nobody believes the $117,000 transaction was a real sale. “We wanted to explore blockchain applications outside of ICOs and cryptocurrencies.” Fortunately, they’re probably not securities. And to be fair, the internet is for cat pictures. 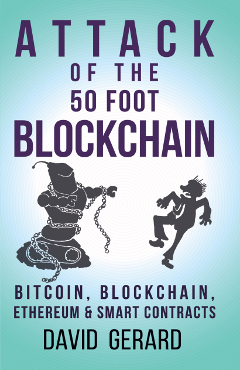 Attack of the 50 Foot Blockchain is discounted this month on Kindle India — 75% off, only INR 103.50 instead of INR 414! Yeah, the discount’s finally up. Tell everyone you know! Also, you still have time to get a copy of the paperback for Christmas for your aged retired parents — who may not be good with computers, but you bet they’ll understand the scammers. Did I mention that I love photos of the book in the wild?